Wanna do crazy volume and rolling swells? 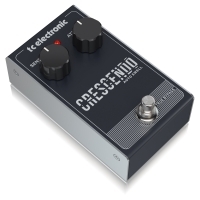 TC Electronic built the Crescendo Auto Swell to give guitarists the possibility to create rolling and mighty volume swells. 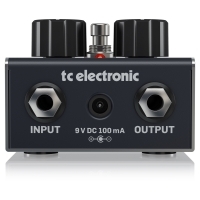 The effect can be compared with a noise gate, but only in the reverse way. The sound starts with a low amount of volume and swells up to the full volume, just like a crescendo effect known from a violin being bowed. 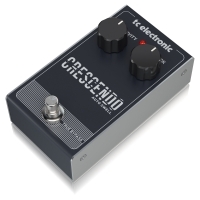 Now imagine what kind of magical tones you can create with this pedal on your guitar. The 2-knob-concept (Sensitivity and Attack) makes the handling mega simple and it's fun to use.